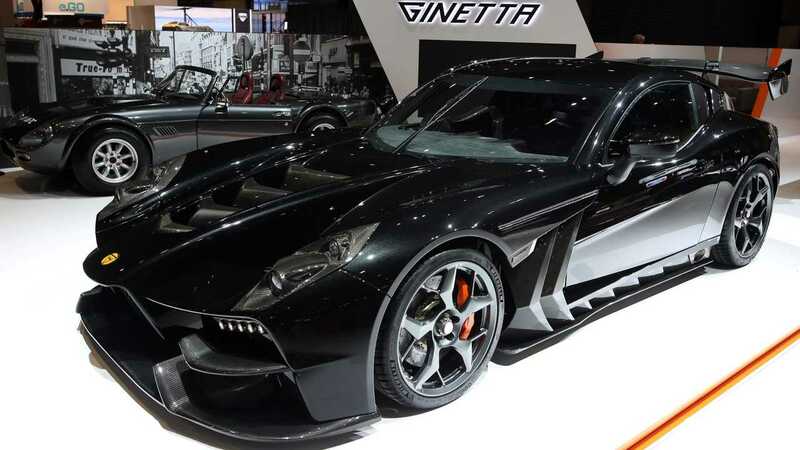 You must rarely hear the Ginetta car brand, but this British car company has long been in the European market since 1958. After few weeks ago, we were still astounded by Ginetta's latest supercar design, finally at the opening of the 2019 Geneva Motor Show, March 5, the name and price were announced. 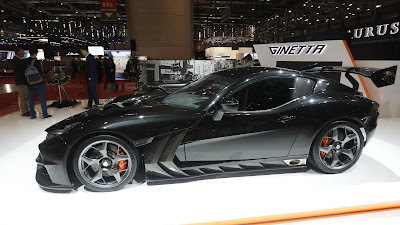 And Ginetta finally inaugurated their newest supercar named Ginetta Akula which was interpreted in Russian as a shark. Even share names with nuclear-powered attack submarines. This car is made of a perfect combination of carbon fiber and light metals that contribute to its low weight, which is around 1150 kg. The Akula is powered by a 6.0 liter V8 engine mounted in the middle with a five axis engine block. In terms of performance, the rear-wheel drive car can produce power of 600 hp and can reach a top speed of 322 kph. The engine is combined with a six-speed gearbox transmission with paddle shifters. In addition, this car also has a limited torque slip differential and a ceramic carbon matrix brake that produces 1.2G deceleration. While in its cabin, the car is equipped with a racing seat with a harness integrated into the chassis, its steering wheel inspired by LMP1 racing car and also there's a touch screen infotainment system. And for those who want to have it, just prepare funds from your savings of 340,000 pounds, equivalent to Rp.6.3 billion. And hurry up, because there are only 20 units will be produced starting in 2020. 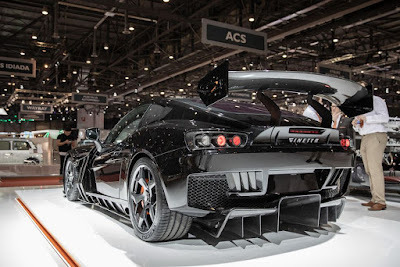 "The concept behind the making of this Ginetta Akula is something truly individual, something that other brands cannot do because of limitations," said Gianeta's chairman Lawrence Tomlinson. "It designed to cut air like a shark splitting the water." The owners will also get the driving experience on the race track with this 'Typhoon Black' supercar. As a bonus, each Akula owner will be given a full introduction to the Ginetta brand with special customer experience made on the track alongside the G58 racer. As we all know, the G58 is powered by a V8 engine with 575 hp and only weighs 940 kg. This car also has some of the same technology as the Akula model. In addition, these owners also have the opportunity to drive several Ginetta cars from the G40 to G58 models under driven by Ginetta factory drivers and several pit crews. And of course this will be an unbeatable supercar exclusive ownership experience.